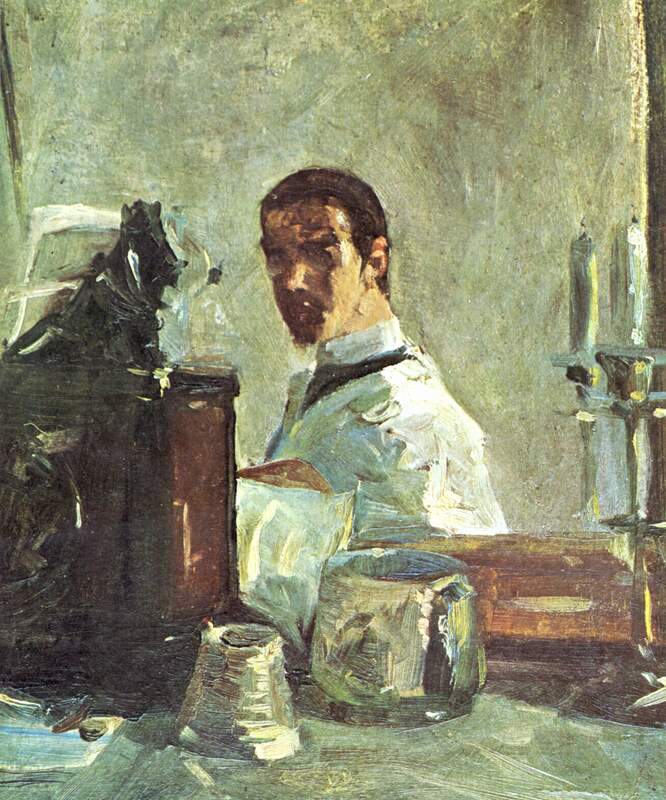 There is some earnestness in this 1882 Self-portrait before a mirror by Henri de Toulouse-Lautrec which the sketch below, also from that year, humorously subverts. 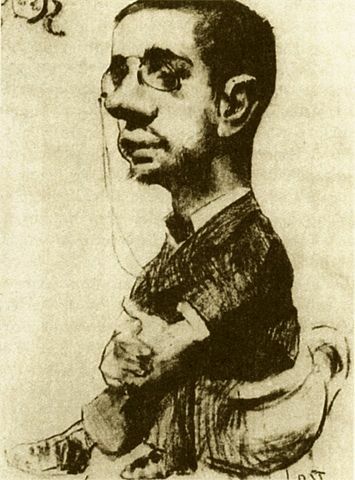 Yet although the two works are opposite in spirit, in both of them (either through the framing of the bust in the mirror or through the conventions of caricature) the artist is somehow disguising his proportions — which were a cause of physical and psychological concern for him throughout his life. I work at a gallery specializing in vintage printmaking, graphic design, and posters. 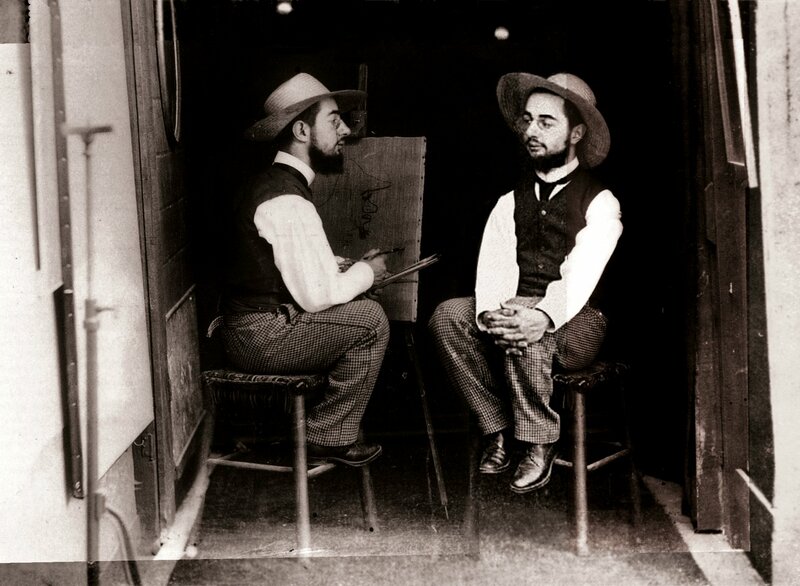 Naturally, I spend a lot of time immersed in the works of Toulouse-Lautrec. His self-deprecating humour, although tinged with sadness, gets me everytime!